I don't even know where to begin here; I am so full of emotions. 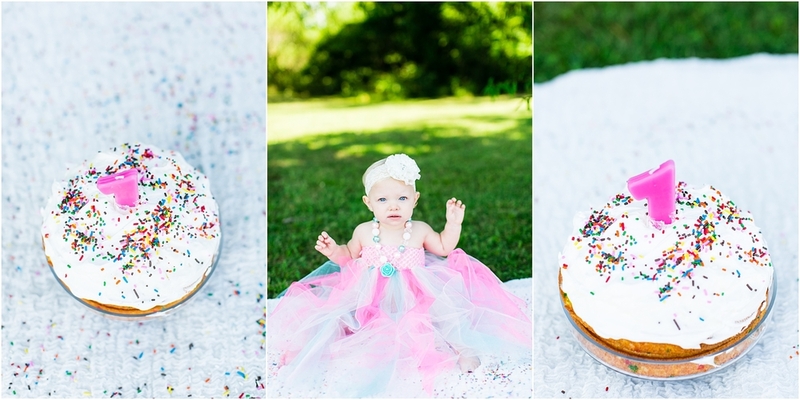 I just can't believe OUR baby girl is ONE!! I continue to ask myself where the time went? How did it go so fast? Did I capture every memory? Did I tell her how perfect she is every day? There are so many that I will always ask to myself. All in her first year, we went to the Zoo, traveled to South Carolina, visited Disney World and so much more!! I have to keep reminding myself we did so much and she is one lucky girl!! She has so many family and friends that LOVE and adore her and one set of parents that are crazy about her!! When people say, "don't blink"; they weren't kidding!! To honor my baby girl for her birthday, I felt there was no other way than to celebrate ICE CREAM style. We started it out by having the fabulous Trisha Sheehan with Trisha Sheehan Photography have the perfect scene set up for that! 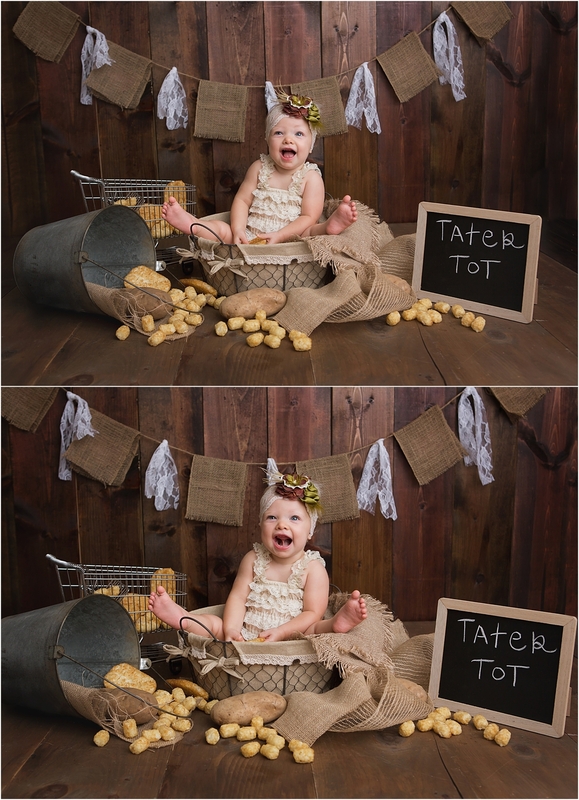 We even had to reenact Tatum's Tater Tot scene; that was a must!! Check her out; She is amazing!! 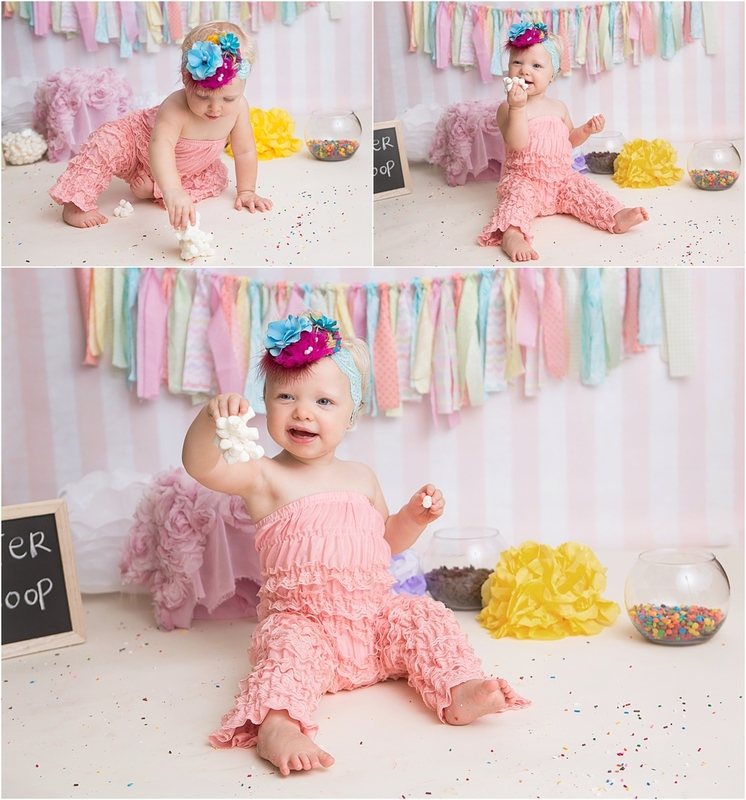 Then I had to get pictures of her doing some kind of cake smash; partially because I wanted to see how she was going do and mostly because I HAVE to make all the memories I can with my sweets! So Chris and I set up shop to do so right outside of our house and it couldn't have been more perfect! She had a blast!! Then off to the most FUN part!! Mommy has been planning this party for what it seems like 6 months and all the wait was over. 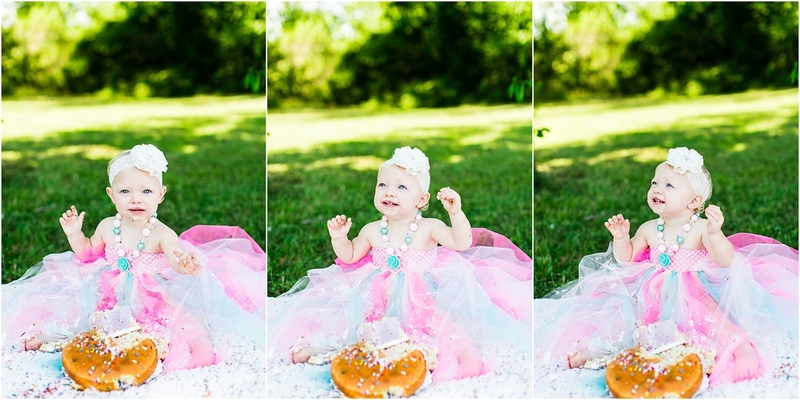 All I wanted was everyone to have fun and fill their tummy's with sweet treats; and for all the babes to play and giggle! 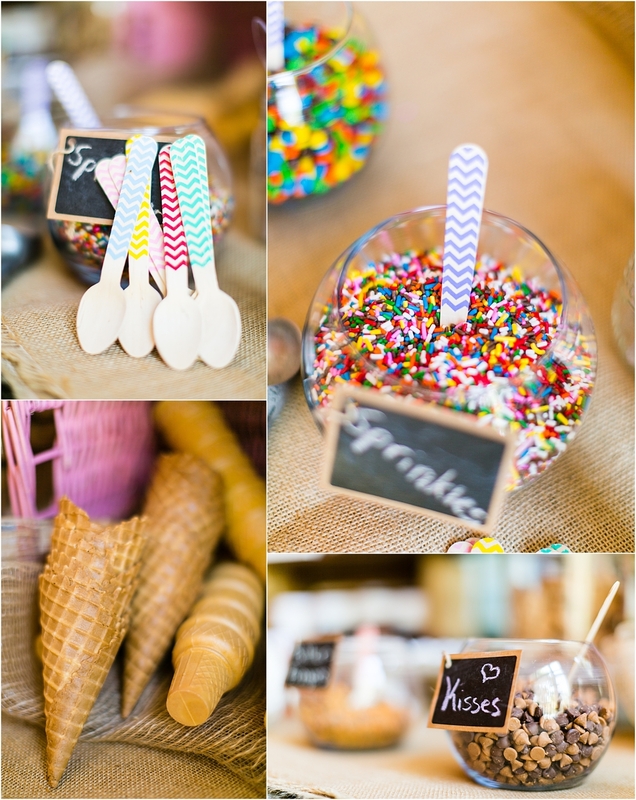 And they did just that; I had an ICE CREAM bar set up as a thank you for coming and we had all age ranges of kids! There was always someone to play with. 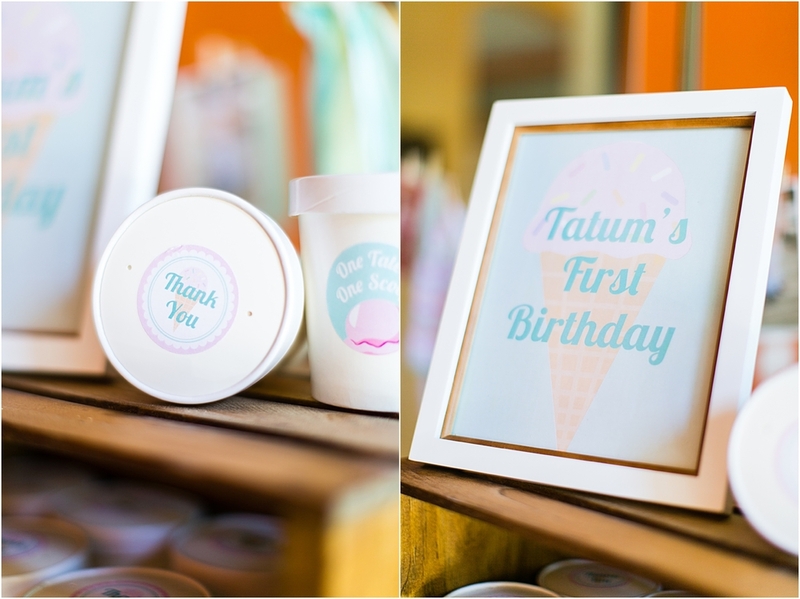 I want to thank the beautiful Briana Macon with Macon Photography for capturing our Tater's First Birthday; you are always there for us and we love you so much!! I also want to thank April Foster with Paper Dolls Design for making the sweetest Thank You to-go stickers along with other treats as well!! Also, Susan Wiseman Hopkins for making the prettiest, tastiest cupcakes!! You're all amazing!! Thank you so much to everyone who came and celebrated OUR GIRL and loving her unconditionally as well!! You will never know how much we truly appreciate you ALL! !